On our law firm website, we provide some government statistics concerning distracted driving dangers. However, we believe those statistics fail to reveal the full picture. We believe they significantly under-report the problem of distracted driving. In other words, the problem is much worse. We see injuries caused by distracted driving on a daily basis. 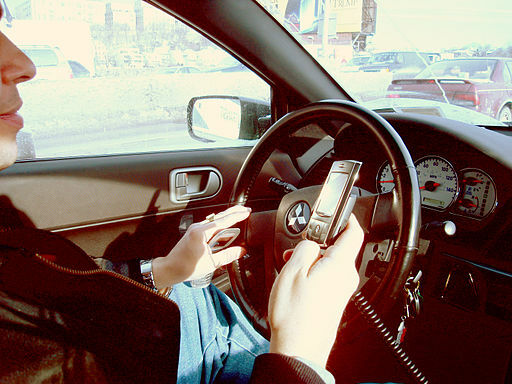 In many of our automobile accident cases, we discover distracted driving caused the crash. Frequently, we see injuries caused by other drivers who were texting, changing songs on their cellphone, reaching for items elsewhere in the car, or distracted by other means. In one way or the other, these distractions usually involve a cell phone. The under reporting of distracted driving has become a frequent mistake by police officers and various other data collecting agencies. A study, partially funded by the Nationwide Mutual Insurance Company, found that in 2011, the most recent year for complete data, out of 32,000 traffic deaths, only 385 were listed as involving cell phones. We agree — distracted driving is under reported as a cause of automobile crashes. Why is that? Several reasons lead to the under reporting. First, distracted drivers often deny their actions. And, in many cases, the actions are difficult to prove. Second, when distraction is the issue, police officers may still fail to report the problem. Third, even when distracted driving is noted on the accident report, the data is not consistently provided to safety agencies. Regardless of reason, we are absolutely convinced the number of distracted driving accidents is far, far higher than reported. Until the early 2000s, the United States had fewer traffic deaths per mile than most other developed nations. That’s no longer the case. Since the early 2000s cars in this country have become safer and law enforcement has worked to lower the rate of drunk driving. Both are positive developments which reduce crash-related injuries and deaths. In many places, driver education is also commonplace for new drivers. And, some states have restricted driving among teenagers. So, what’s changed that could possibly make the rate of crashes and fatalities increase? The cell phone. The cell phone has become a personal fixture for everyone – an all in one device for communicating. That’s the major change. And they saw cell phones — oh, they saw cell phones. We need to take steps now to limit distracted driving. Education and awareness are important. Yet, they are not enough by themselves. The generational change in personal electronic devices is clear. For those younger than me, the cell phone is a permanent and constant accessory. It’s a device for constant use. Simply making drivers aware of the potential danger is not sufficient. In addition to education, we need to use available technology that can limit cell phone activity while vehicles are being operated. We need to increase enforcement as well as penalties for conduct that puts others in danger. We need a comprehensive approach to vehicle and highway safety. If you would like to discuss these issues, let us know.